Welcome to The Purposeful Mom! I believe it’s possible to trade a chaotic heart for a heart of peace, even when life feels crazy. As a Christian mom pulled in many directions, you want to know how to “choose well”, using your time for what matters. Many days though, you feel like life is overwhelming. You want peace and confidence in how you’re raising your kids. You know that your spiritual life needs to be strong, but you feel like you just don’t have time to make your faith a priority and be in God’s Word with intention. Kids are busy and loud (seriously! ), and you find it hard to “pause” in order to parent well. But you desperately want to speak with grace, rather than shout works. You want to be patient and proactive, rather than impatient and reactive, yet you feel like you’re missing the mark. You want to pass on a love of God and the Bible to your children so your family can stand strong in their faith, but you’re not always sure how to find the right approach. Friend, I absolutely hear you! You don’t have to feel overwhelmed, grumpy or view motherhood as a constant struggle. And your family’s faith doesn’t have to fall to the wayside, just because life is busy! As a mom of four, I understand what it feels like when life just keeps happening without giving you a chance to catch up, leaving you frustrated and guilty. That’s why it’s my desire to help moms like you to balance grace with expectations, cultivate a faithful heart and home, and find simple solutions for faith and parenting struggles. I want you to be able to take action on the thoughts and ideas that have been rolling around in your mind, one day at a time, rather than getting overwhelmed trying to do “all of the things”. When you become part of The Purposeful Mom community, you’ll learn how to turn good ideas into good practices so you can trade a chaotic heart for confident, grace-filled motherhood and build a strong, faithful family. Sign up for my emails and get access to helpful and specific content that will help you strengthen your faith and family life! 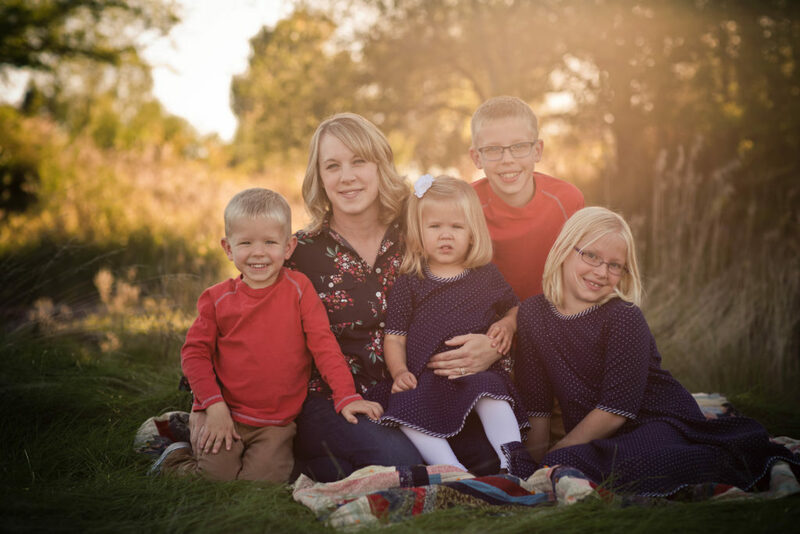 When we first started our family, I felt like I was doing pretty well balancing our priorities and being a “good Christian mom”. My first child was a dream. Our life was stable. Faith came easily. But then, my second child rarely slept, life got busier and difficult times came. My mind and heart felt in constant chaos. I was impatient and exhausted. What had happened? How could I possibly have a faithful, nurturing home and family life, when I was feeling so overwhelmed? In the beginning, it seemed so easy for me, but now it only seemed that it came easily for others. I wanted to know: How does knowing God and being a Christian transform and affect my real life? What would put my heart and mind at peace even if motherhood wasn’t going the way I thought it would? So I started reading (a LOT) about motherhood and faith. I asked questions of others who I felt had family lives that mirrored grace. I began to learn what Scripture really said about being a mom and teaching kids about God (and caring for myself). This introduced a new problem: I was growing in wisdom, but also drowning in ideas. And then my “perfectionist” personality left me feeling overwhelmed and stuck. In my pursuit of “all of the things”, I ended up doing none of them. How could I make things work on a practical level? 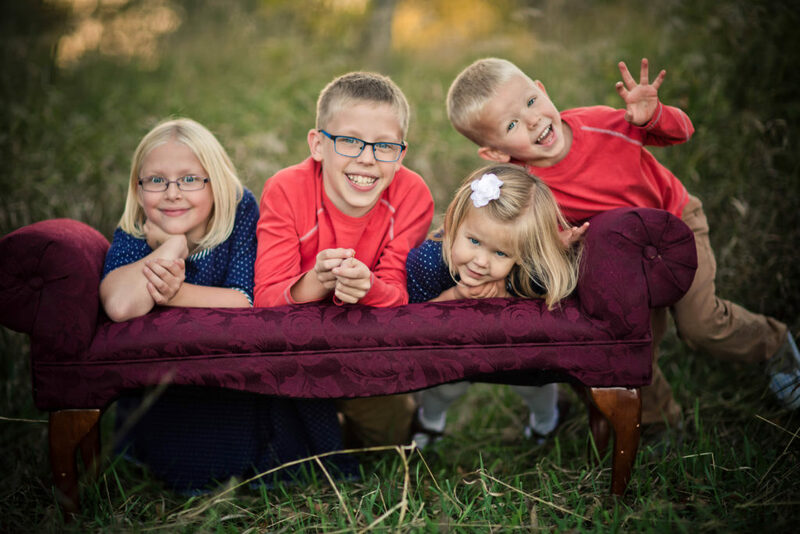 Over time, I learned how to pivot toward the best choices for our family that would result in grace-filled living, a strong faith and choosing to use time well, and actually take action on them, even when life was chaotic. I was so thankful to see the changes that began happening in our faith, home and family. Even after adding a fourth child, experiencing a difficult move and going through the heart-breaking experience of my mother being treated for cancer, our priorities were there, calling us gracefully back to focus on the important things. Even when life throws chaos your way, you can learn to turn good ideas into good practices and thrive in faithful motherhood, powered by the grace of God. And I can help. Just like you, I’m learning and growing as a Christian mom. And I’m excited to share what I’ve learned with you! We’re in this together! You don’t have to have it “all figured out” to just get started walking this road toward a stronger family faith and grace-filled, confident motherhood! 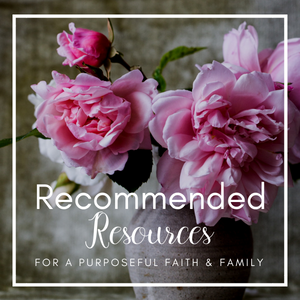 If you’d like to receive tools and encouragement to help you choose your time well, have more grace-filled confidence in motherhood and faith, and parent your kids in a biblical way, sign up below.